The feisty Vikings are at it again with winning shenanigans all over reels. Free Spins, Multipliers and fun Pick Me Bonus round will have players basking in Viking revelry in no time and who knows you could even leave with a few Bitcoin n you treasure chest. Viking Age is another Bitcoin slot from BetSoft, and as you might expect from one of the leading providers, the graphics are absolutely stunning. 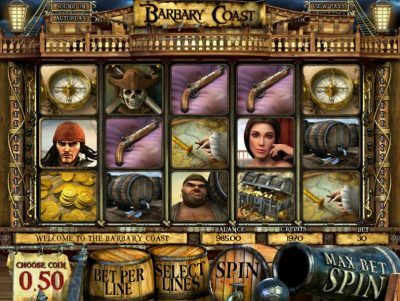 The problem is this though: while the graphics are undoubtedly good, they don’t quite match the standards of some of BetSoft’s other 3D slots, such as The Tipsy Tourist and The Slotfather. Despite this though, you’ll still find that this slot is certainly playable, and that you could win some nice sums of bitcoin if you’re lucky. The best aspect of this slot is its features, which don’t spin in too regularly, but do provide some big wins. It might be worth turning down the sound though, as the soundtrack can become quite grating, and the woman at the side of the reels constantly shouts out remarks – especially if you don’t spin the reels for a couple of seconds! 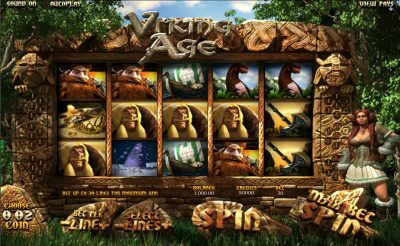 Viking Age is a slot with 5 reels and 30 paylines, meaning that it has more paylines than some other BetSoft 3D slots. The paylines aren’t fixed, so you’ll be able to choose how many to play, plus you can select how much to bet per payline before every spin. Like many BetSoft slots, Viking Age can be quite slow, but this is the trade-off for the enhanced graphics. Whether this trade-off is worth it is entirely down to your personal preference. 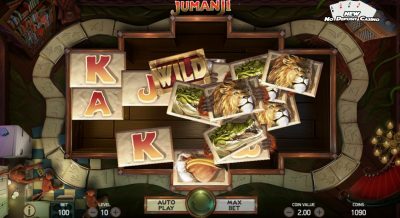 There is no wild symbol at this bitcoin slot, however there are three bonus games. The first is activated by scattering three of the viking girl symbol on the reels, and when you do you’ll be rewarded with free spins, which can also include a nice multiplier. Scattering three or more of the Viking helmet symbols leads to a “Pick Me” bonus, where you’ll need to choose from different doors to reveal your prize. There’s also an arm-wrestling bonus, which is activated by scattering three or more arm wrestling symbols on the reels. Choose which player you think will win, before then correctly guessing the result of a coin toss to give them extra strength. You’ll find out how much you’ve won when the contest is over. The better your player does, the more you’ll win. Viking Age isn’t one of the best BetSoft slots, however this could be because it is one of the older ones out there. Fans of vikings and history will probably enjoy it though, and you can win some really nice prizes if you’re lucky.